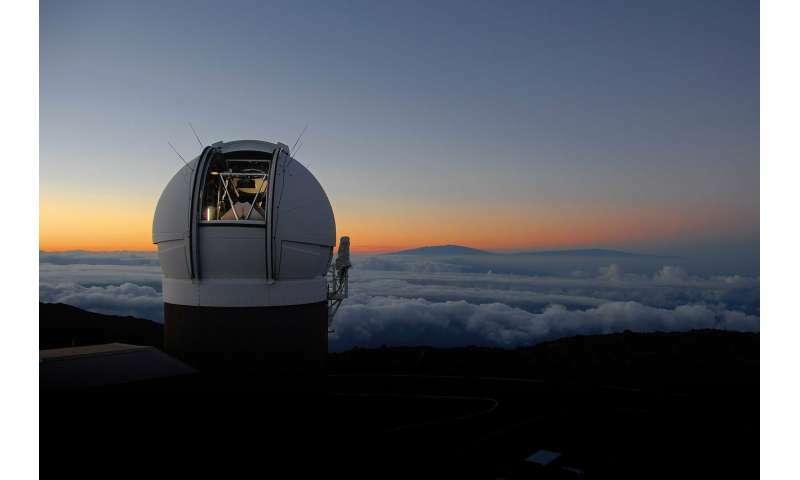 The Space Telescope Science Institute (STScI) in Baltimore, Maryland, in conjunction with the University of Hawai'i Institute for Astronomy (IfA), is releasing the second edition of data from Pan-STARRS—the Panoramic Survey Telescope & Rapid Response System—the world's largest digital sky survey. This second release contains over 1.6 petabytes of data (a petabyte is 1015 bytes or one million gigabytes), making it the largest volume of astronomical information ever released. The amount of imaging data is equivalent to two billion selfies, or 30,000 times the total text content of Wikipedia. The catalog data is 15 times the volume of the Library of Congress. 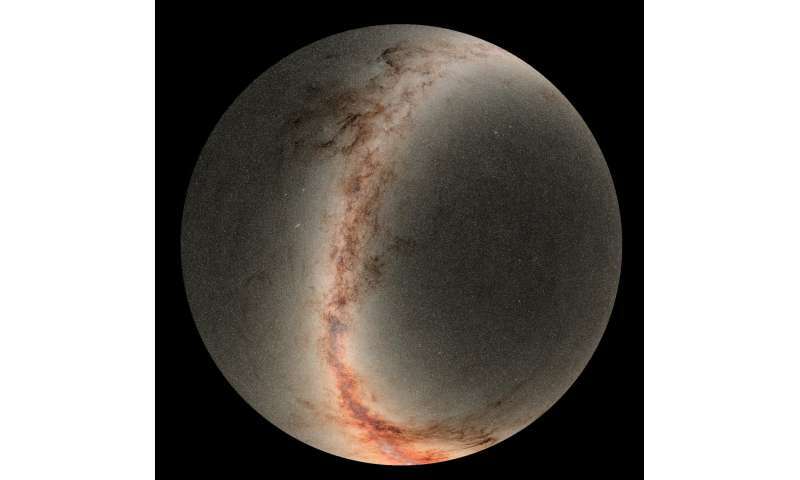 Dr. Heather Flewelling, a researcher at the Institute for Astronomy in Hawai'i, and a key designer of the PS1 database, stated that "Pan-STARRS DR2 represents a vast quantity of astronomical data, with many great discoveries already unveiled. These discoveries just barely scratch the surface of what is possible, however, and the astronomy community will now be able to dig deep, mine the data, and find the astronomical treasures within that we have not even begun to imagine." "The Pan-STARRS1 Survey allows anyone access to millions of images and catalogs containing precision measurements of billions of stars, galaxies, and moving objects," said Dr. Ken Chambers, Director of the Pan-STARRS Observatories. "While searching for Near Earth Objects, Pan-STARRS has made many discoveries from 'Oumuamua passing through our solar system to lonely planets between the stars; it has mapped the dust in three dimensions in our galaxy and found new streams of stars; and it has found new kinds of exploding stars and distant quasars in the early universe. We hope people will discover all kinds of things we missed in this incredibly large and rich dataset." More information: The Pan-STARRS1 Surveys and its science archive have been made possible through contributions by the Institute for Astronomy, the University of Hawai'i, the Pan-STARRS Project Office, the Max-Planck Society and its participating institutes, the Max Planck Institute for Astronomy, Heidelberg and the Max Planck Institute for Extraterrestrial Physics, Garching, the Johns Hopkins University, Durham University, the University of Edinburgh, the Queen's University Belfast, the Center for Astrophysics | Harvard and Smithsonian (CfA), the Las Cumbres Observatory Global Telescope Network Incorporated, the National Central University of Taiwan, the Space Telescope Science Institute, and the National Aeronautics and Space Administration under Grant No. NNX08AR22G issued through the Planetary Science Division of the NASA Science Mission Directorate, the National Science Foundation Grant No. AST-1238877, the University of Maryland, Eōtvōs Loránd University (ELTE), the Los Alamos National Laboratory, and the Gordon and Betty Moore Foundation.